Miss Raju Pushparekha, known to all simply as ‘Pushpa', was born in 1988 as the oldest of four children in a family of tea estate workers residing on Koslanda Organic Tea Garden in the hill country of Badulla District. From a young age Pushpa took her education in earnest and passed her ‘O' level exams—no mean achievement for a girl from a tea estate background. In 2006 Pushpa began commuting to Koslanda Rural Knowledge Center (www.nanasala.org) where she undertook her ICT studies under S. Srikanthan, and was later accepted as an ICT apprentice at the Srikanthan family's Telecentre where she served as a resident instructor and volunteer social worker. Among Pushpa's endearing qualities were her natural poise and grace, an eagerness to learn and to serve, an ease with which she interacted with people of all ages, especially children, and her willingness to serve long hours at whatever task needed to be done. Bilingual in Tamil and Sinhala, she was fast acquiring spoken and written English fluency as well. Always impeccably attired, Pushpa's sparkling personality and gracious manners made her a natural role model for other young women who admired Pushpa's poise and ability to share her mastery of ICT essentials with children and adults of all ages. Pushpa's life took a tragic turn when she was visiting her family on the morning of 20 November 2008. Heavy monsoon rains caused the house suddenly to collapse upon Pushpa. It took five hours to rescue her from the rubble and deliver her first to Koslanda Hospital and then to the larger base hospital in Diyatalawa, where she was nearly dead upon arrival. Her family and friends donated the 22 pints of blood needed to keep her alive through a five hour operation, during which her heart stopped four times. Pushpa survived the operation, but surgeons had to amputate her left leg above the knee. For weeks her family and friends waited and watched helplessly as she struggled for life in the intensive care unit, with kidney failure and pneumonia caused by massive tissue damage. Finally, on the morning of 10 December, after twenty days in critical condition, Pushpa succumbed to her injuries. Her untimely death shocked and saddened the entire population of Koslanda, a mixed community of Sinhalese and Tamils, where Pushpa was widely known and admired. During her brief career, Pushpa introduced hundreds of village children to IT and also trained young women of Koslanda to do simple paid work on computer. In this way, she directly inspired hundreds of children and youth and transformed their vision of their own potential and self worth. Pushpa's patience and gentle friendly manner, combined with her quick grasp of computer essentials and ethic of hard work, made her into a model grassroots ICT worker—youthful, from a marginalized rural community, and with her natural poise and eagerness to serve, a peerless role model for other young people of the Hill Country, particularly young women from rural communities. In August 2008 Koslanda Rural Knowledge Center formally opened a branch Telecentre serving 512 families of workers serving on Koslanda Organic Tea Estate. 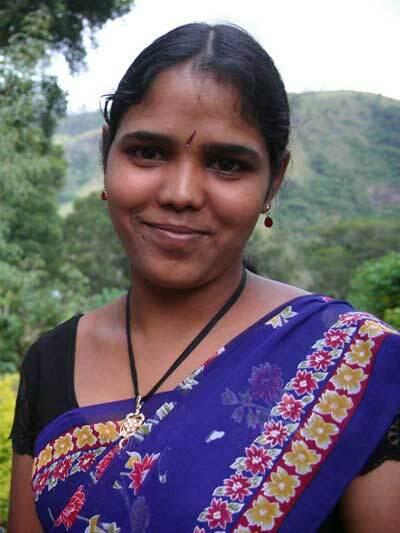 Pushpa, who hails from that estate, was appointed as manager of the Telecentre's all-women staff. Pushpa also gave generously of her time doing volunteer social work among families of handicapped children of Koslanda living in conditions of abject poverty where educational, health, and livelihood opportunities for the handicapped are virtually non-existent. As a daughter of estate workers, she knew the difficulties that estate families face, and sought to uplift herself and as many of those around her as she could by whatever means but principally by opening up opportunities in ICT to them. Pushpa was a woman of demonstrated talent,dedication, and compassion who worked tirelessly to empower youth, women, and the handicapped by opening up innovative new opportunities in ICT. Patrick Harrigan is Executive Director of the Sri Lanka Children's Trust and Treasurer of the Hill Country Disability Group.